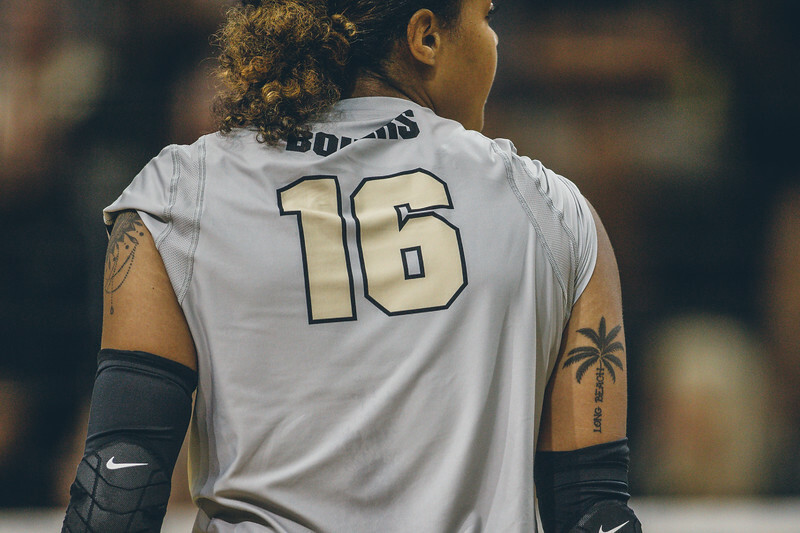 By the time this post goes live Purdue will have played a second game of their season. As I write this though Purdue is 1-0 after defeating Wofford in an early morning game. 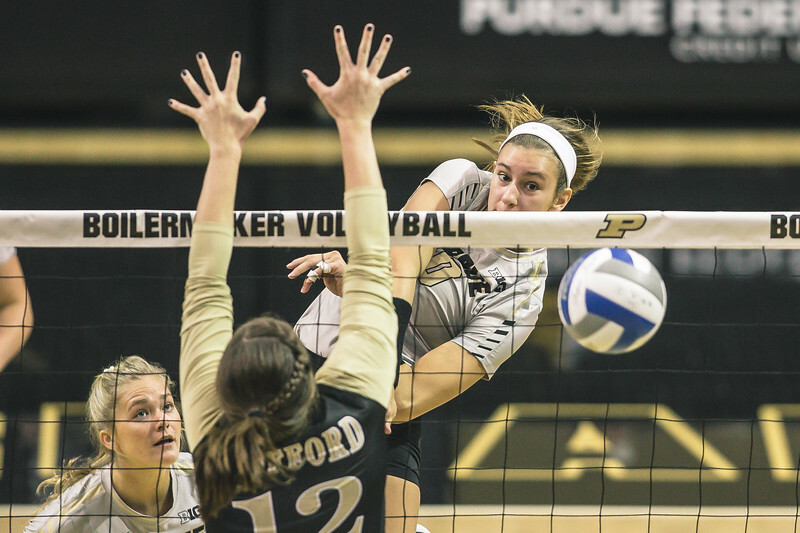 I will be shooting volleyball later today as Purdue wraps this tournament up so I wanted to get out and knock some of the rust off. I never like to go into something rusty. Early on in this match I was just not feeling it. By the time that I left I was feeling confident in what I could do today. Purdue looked good too. They have moments where they look like they could be something special this year. It is a tough conference though so it will be fun to see how this season plays out. To start the match I found a familiar place up high above the Boiler Block. These early morning games are a great time to get this view as the students have class and the block is not as full as it normally is. I was not having my normal run of luck up there though so I moved fairly quickly. I did end up with some images that I liked though, and it is a spot that I need to keep in the rotation this season. This season I have more volleyball on the books already than I did all of last year. I was basically done shooting by this weekend last year. I shot one volleyball match after August 25th last year. 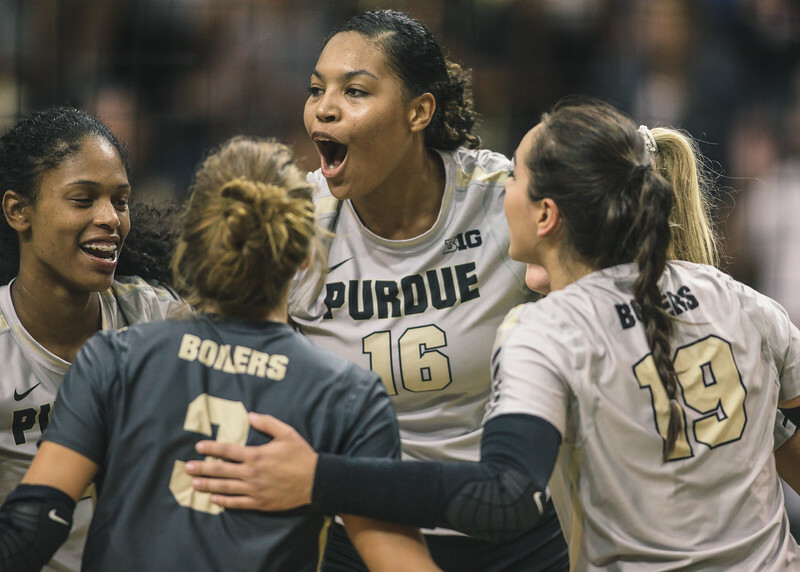 In 2016 I had a great year shooting volleyball including following Purdue to the NCAA Tournament. Maybe I can have a fun run with the Boilers again this year. This year I have worked a little more to get my volleyball shooting back knowing that I will be shooting more of it. Previous Post Let’s Play Football!